California’s Fair Employment & Housing Act (“FEHA”) – What does it protect you against? Legal Expertise. Personal Service. Results. 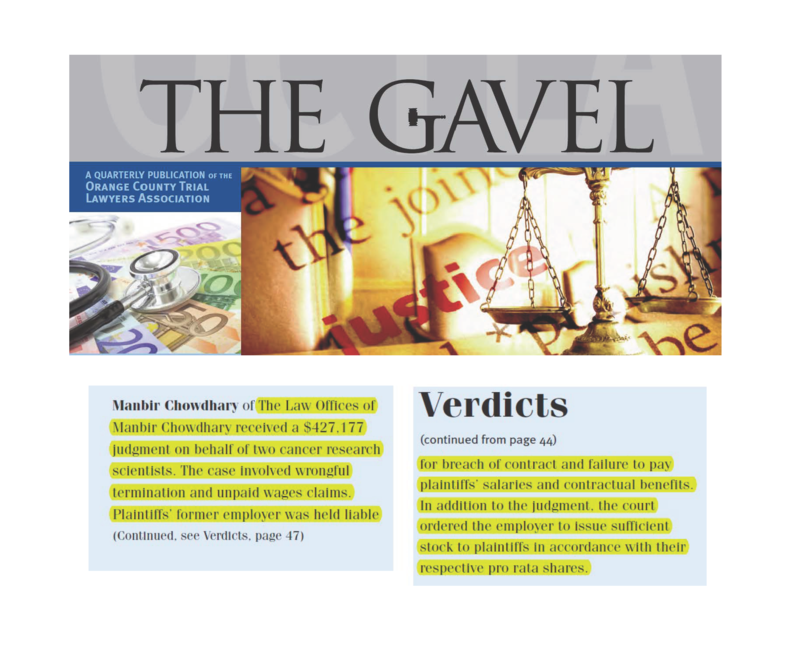 Manbir S. Chowdhary is a labor & employment trial lawyer based in Newport Beach, California. He is a graduate of the University of Southern California Law School, and admitted to the State Bars of California and New York. Mr. Chowdhary's law firm has successfully represented clients in all areas of labor & employment law, including wrongful termination, discrimination, harassment, whistleblower claims, misclassification, and unpaid wages claims.